Today the sky is angry and there is a light rain falling...una giornata brutta. 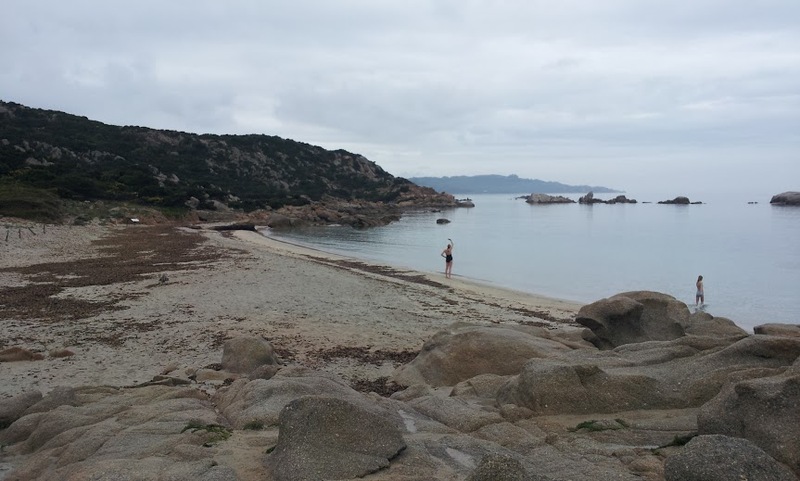 We discuss whether to change our plans but there are not too many rainy day options in this area of Sardinia. So after breakfast, we get on the ferry for the 20 minute crossing to the island of La Maddalena. The island used to house a large US naval base (talk about hardship duty) but it was closed down in 2008. The Italian navy still maintains a base there. 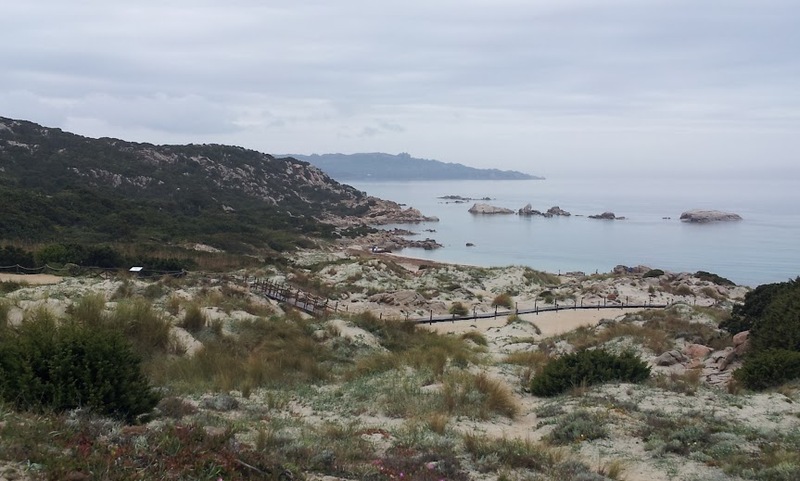 There is not much on Caprera other than the Compendio Garibaldi (if you don't count the beautiful beaches); The island is connected to La Maddalena by one narrow causeway barely wide enough for two vehicles to pass. The road leading up to the Garibaldi house is lined with parked cars and the tiny parking lot is full. And we arrive at the same time as a busload of Italian tourists out for a Sunday trip. The line at the ticket office is long and only 20 people are admitted at a time for the mandatory guided tours,so we decide to come back later in the day. 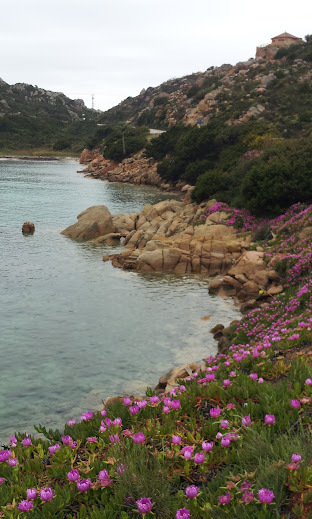 The other activity we are planning is to take the 20 kilometer scenic drive around the island of La Maddalena. The start of the drive is not promising....we pass small industrial parks and a big shopping mall but things quickly improve. 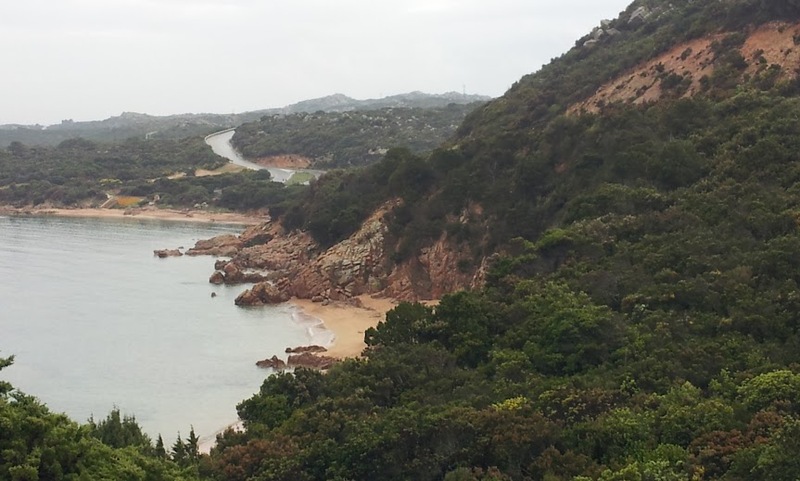 The road climbs and winds along the coast, providing lots of photo opportunities of pretty coves with beaches and rugged stone formations in the hills and in the water. The sky is still overcoast but the rain seems to be letting up which allows us to stop and take some walks without our umbrellas. 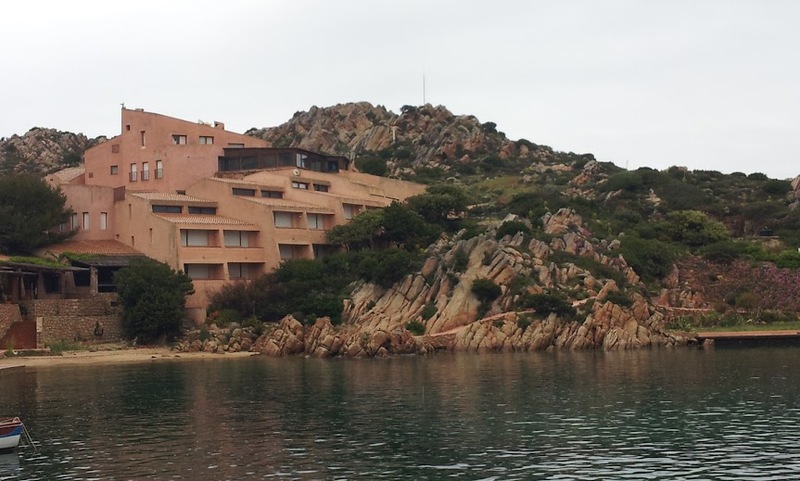 In addition to the wild natural scenery there are some houses and hotel complexes that have been built on the island. 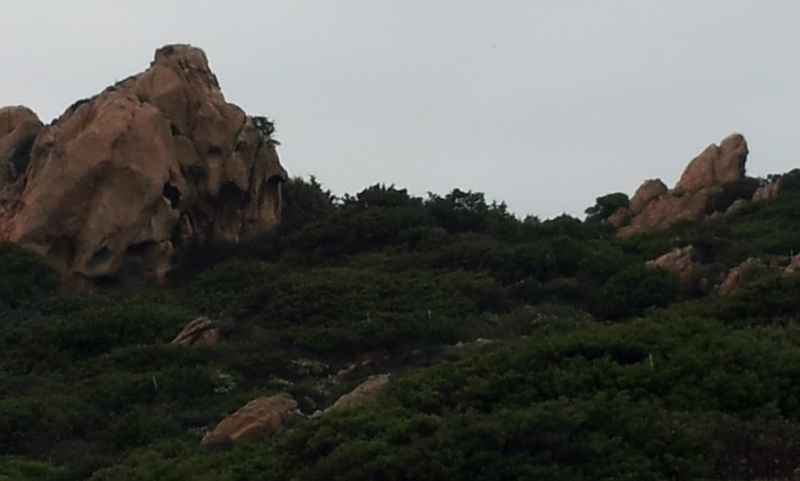 but even they fit pretty well into the dramatic landscape. 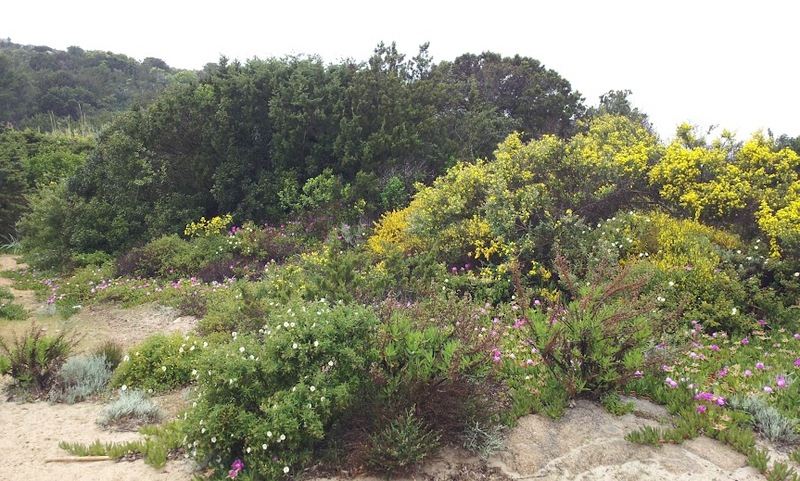 There are narrow coves with colorful flowers along the shore as well as stands of foliage on the dunes. One of the loveliest stretches is at Baia del Trinita, a long sandy beach that we reach by a boardwalk built over the dunes. 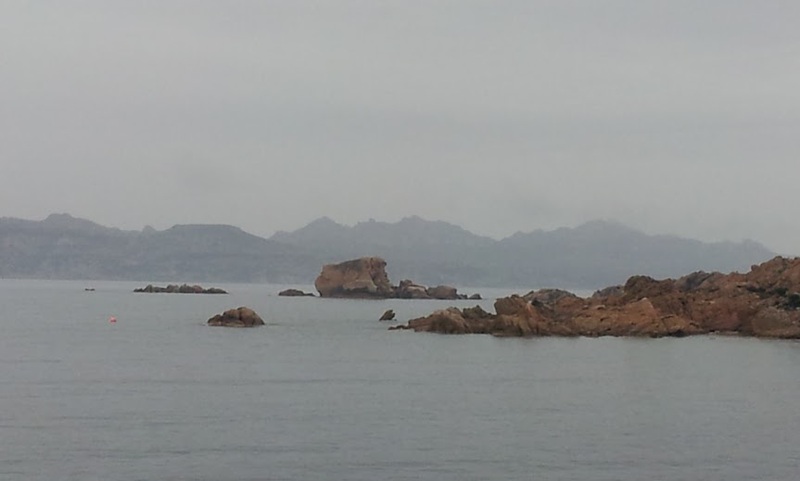 Even with the overcast weather, we come upon a French family swimming in this cove. After completing the panoramic drive, it is lunchtime and we stop for very good sandwiches at a friendly bar in town and decide to make another attempt to visit Garibaldi's house. At 1:30 pm on a Sunday, all good Italians are busy with their big dinner so we have no trouble parking and getting tickets. We are on a tour with 10 Italians and the tour guide speaks extremely fast so we miss a good part of the descriptions (we do have an English language brochure that gives us the basic details). 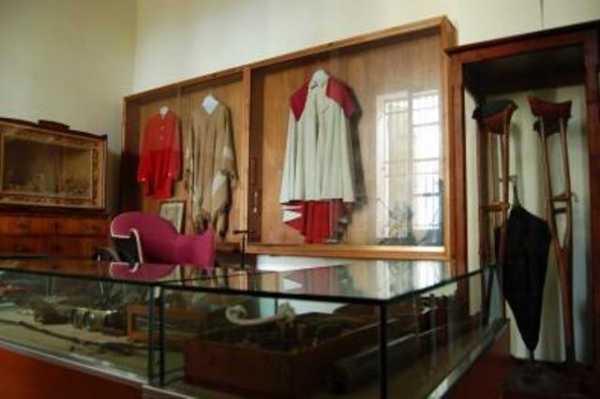 We enjoy the visit...the house is furnished as it was when Garibaldi lived there and there are many pictures and momentos from his life including the emblematic red shirt worn by his army. He was a agricultural innovator and we see some of the farm machines that he introduced or adopted very early. We drive back to La Maddalena and take the ferry back to Palau...the day has worked out very well despite the less than beautiful weather. This evening we are invited to have dinner with a Facebook and Slow Travel friend--Viktorija Todorovska--who is working on a Sardinian cookbook. She lives in Chicago and we have discovered that we know some of the same people. Since we were both in the same area at the same time, Viktorija invited us to have dinner at the agriturismo that she and her husband Michael were staying. The agriturismo--La Valletta--is out in the countryside near the town of Santa Teresa di Gallura, off a very narrow rural road. 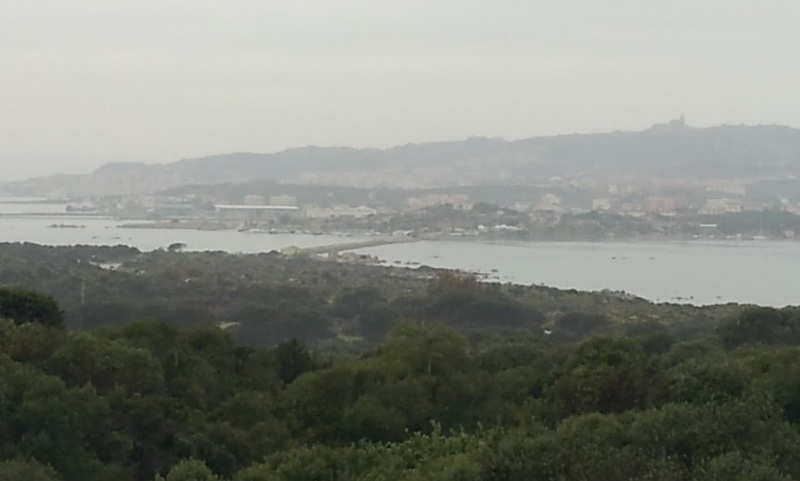 Tomorrow we will make the drive to the extreme south of the island to begin our five night stay in Cagliari.